* During the Opening Ceremony, parking lot will not be available. Please use public transportation. * On October 18th and 19th, parking lot of the Shilla Seoul will be available. Please show your name tag to park your car in the parking space without payment. However, since parking lot is available only when there are remaining spaces, we highly recommend you to use public transportation. 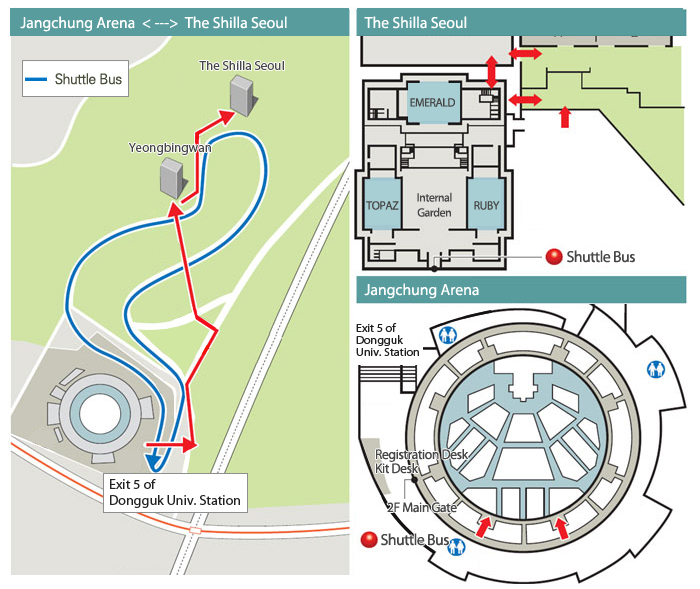 * You can take the shuttle bus in front of Young Bin Kwan of the Shilla Seoul or Jangchung Arena. ■ Please check the location of bus stops and the bus line.